The Energy Arts Qigong Exercise System makes your body more conscious by increasing your internal awareness, moving chi and activating your acupuncture meridians. Five of the qigong sets are linked to the Five Elements: Wood, Earth, Water, Fire and Metal. 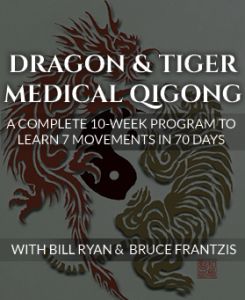 Dragon and Tiger Qigong is one of the most direct and accessible low-impact qigong healing methods that China has produced. This fifteen-hundred-year-old form of medical qigong affects the human body in a manner similar to acupuncture. Its seven simple movements can be done by virtually anyone, whatever their age or state of healing. These movements are easy to learn, require a relatively small commitment—just 15 minutes per day—and produce long-lasting health benefits. 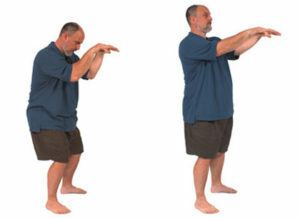 Dragon and Tiger Qigong’s gentle movements are especially beneficial for the joints, increasing range of movement—especially in the upper body. Many qigong sets in China are named for the qualities and purpose for which they are designed. In Dragon and Tiger Qigong, the analogy refers to the agility and flexibility of a flying dragon and the relaxed power of a pouncing tiger. More specifically, in Chinese medicine, this analogy uses the Tiger as a metaphor for a healthy liver (strength and responsiveness), while the Dragon represents strong, healthy lungs (the ability to fly). Read more about Energy Arts’ Dragon and Tiger Qigong system here. 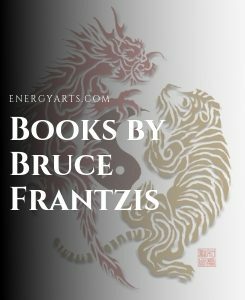 Bruce Frantzis has developed the method of Taoist Longevity Breathing to teach authentic Taoist breathing in systematic stages. Whole-body breathing has been used for millennia to enhance the ability to dissolve and release energy blockages in the mind/body, enhancing well-being and spiritual awareness. Incorporating these breathing techniques into any other Taoist energy practice will help bring out its full potential. Breathing is vitally important to your health. Both Western and Eastern medical practitioners consider good breathing habits essential to leading a healthy life. However, most people have poor breathing habits. Many hold the breath when nervous or tense, while others breathe shallowly and oftentimes without an awareness of how the lung is being engaged during the breathing process. Currently, in the West, there exist two main breathing systems: pranayama or yogic breathing, and Taoist breathing. These systems were brought to the West via Eastern medical systems, and while there are many similarities between the two systems, they remain fundamentally different. Read more about Taoist Breathing here. Energy Gates™ Qigong is a 3,000-year-old self-healing qigong (chi gung) system from China. This qigong practice is for those who are serious about learning tai chi, qigong or any form of energy work. Energy Gates Qigong is a part of our core qigong program because it teaches the fundamentals of how to activate and harness chi, your life-force energy, to improve health, reduce stress and reverse the effects of aging. Energy Gates Qigong will help you integrate and practice components of internal power, known as neigong, such as breathing, alignments, weight shifts, spine activation, and dissolving. You won’t find a more efficient qigong set for going internal, releasing your nerves and boosting your energy than what Energy Gates Qigong offers in just six exercises. 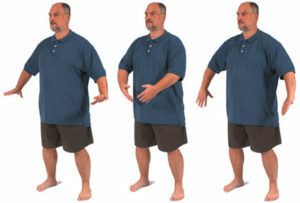 Practicing Energy Gates Qigong can increase your health and vitality, while building a stronger, more connected body. 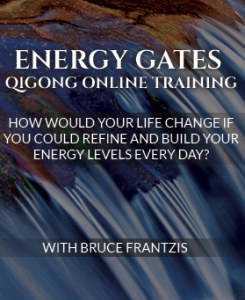 Read more about Energy Gates Qigong here, or click here to access Energy Arts’ Energy Gates products. Marriage of Heaven and Earth Qigong helps heal back and spine problems and is especially effective for mitigating repetitive stress injury (RSI) and carpal tunnel. You learn to pulse joints (open and close) without muscular tension and more complex Longevity Breathing techniques. Bend the Bow Spinal Qigong is an advanced program that focuses on strengthening and regenerating the spine. 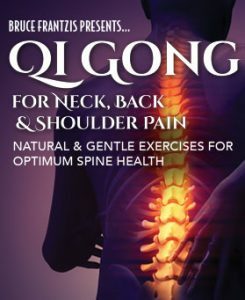 In Bend the Bow Qigong, you learn to embody advanced neigong (nei gung) components to control, strengthen and regenerate the chi energies of the spine and heal severe back problems, such as as scoliosis. Bend the Bow Spinal Qigong teaches you to have the ability to control the movements of individual vertebrae–techniques not believed to be possible in Western medicine. In effect, Bend the Bow Spinal Qigong is the second part of the Marriage of Heaven and Earth Qigong. Spiraling Energy Body Qigong is an advanced neigong practice teaching you to dramatically raise your energy level and master how chi energy moves in circles and spirals throughout your body. It helps you increase the speed with which chi is circulating in your body. It is also necessary for psychic practices and can be used to channel an overactive mind into stable pathways. Spiraling Energy Body is emotionally and energetically challenging and should be learned only after you have developed a good foundation in the physical and energetic practices of Opening the Energy Gates of Your Body and have a stable grasp of both the standing/dissolving and the moving techniques. Gods Playing in the Clouds Qigong is an advanced program incorporating some of the oldest and most powerful Taoist rejuvenation techniques. This program amplifies all the physical, breathing and energetic components learned in earlier qigong programs and completes the process of integrating all 16 neigong. Gods Playing in the Clouds Qigong is the only qigong program that Taoist Lineage Master, Liu Hung Chieh, practiced daily to enhance his personal longevity after the age of fifty. Practicing the movements from Gods Qigong can make your bones stronger, cleanse your emotional body of negative energy, open and stabilize your heart center and central energy channel, release spiritual blockages and energize the brain. Gods Qigong amplifies all the physical, breathing and energetic components of the Energy Arts core qigong programs and completes the process of integrating all the components of neigong. It is also the final stage of learning to strengthen and balance the energies of your three tantiens, central channel and spine. Gods Playing in the Clouds Qigong also serves as a spiritual bridge to Taoist meditation. Qigong Tui Na Energy Healing is a special branch of Chinese medicine designed to unblock, free and balance chi in others. In qigong tui na, you learn to project energy from your hands, voice and eyes to facilitate healing. In order to learn to heal others, you must first learn to unlock and free your own chi and learn to control the specific pathways through which it flows. Learning qigong energy healing typically comes after you have a stable foundation in qigong or tai chi to develop the sensitivity to feel and work with your own chi before working with the chi of others. Part of Bruce’s Taoist training was learning to apply chi gung/qigong tui na techniques to patients in medical clinics in China. During a five-year period, he worked with more than 10,000 patients to balance their chi and help them heal from such diverse illnesses as organ and nerve damage and cancer. Today, he no longer works as a chi gung/qigong doctor, either privately or in clinics, in order to have the time to write books, teach workshops and retreats, and train Energy Arts Instructors. In order to learn to heal others with chi gung/qigong tui na, you must first learn to unlock and free your own chi and learn to control the specific pathways through which it flows. You must learn to develop chi sensitivity in your hands. That is why it is so important to learn Energy Arts core and advanced programs before you study chi gung/qigong tui na. How to retain compassion for your patients and not get “compassion” fatigued. The rule of thumb is that if you spend a certain number of hours working on patients. Ideally, you should spend as much as a quarter of that amount of time doing regenerative practices to avoid burnout.